Male Celebrities have power to explore their own clothing lines and they always trying to jump out of their lane: athletes become actors, actors attempt to release albums, musicians try to become change the world, etc. But the career sidecar that unites big names of all kinds is fashion—celebrities’ love starting clothing lines (Brands) in their image. In general, a large part of celebrity businesses fail or succeed based not only on the individual’s business savvy, but also in strategic planning and good timing. It’s common for a brand to release one collection and then fold or go into hiatus, sometimes to re-emerge years later. These Male Celebrities Clothing Lines were either iconic names (regardless of their present-day standing), heavy hitters from the jump, or paved the way for future successes years on. Regardless of whether or not there were tragedies from very start or successes that later crashed and burned, one thing has become clear: celebrity-clothing lines are often greeted with more groans than critical acclaim. That said, for all of the failures and bad businesses, there is a few that have risen above in their time, at least in the category in which they reside. These are9 Celebrities Clothing Lines who really based on their brands! Let’s talk about the Celebrities’ Male Clothing Line, which is really famous among the youngsters and they dying to wear it. For millions of fans such as the Auto rickshaw driver, Khan isn’t just a larger-than-life Superstar. He is the Bollywood bad guy with a heart of gold who helps them out when they are down and out. And the 52-year-old superstar has successfully leveraged such adulation and extended his man-of-the-masses image to create a charity and lifestyle brand, Being Human, which has almost become as big as him. “Being Human has become a cult. In fact, it has become larger than Brand Salman. The Being Human Foundation, which provides affordable health-care and primary education to underprivileged people across the country. Being Human is a charity with an unusual revenue model. It does not ask for donations but raises most of its funds from royalty from the sale of Being Human merchandise. 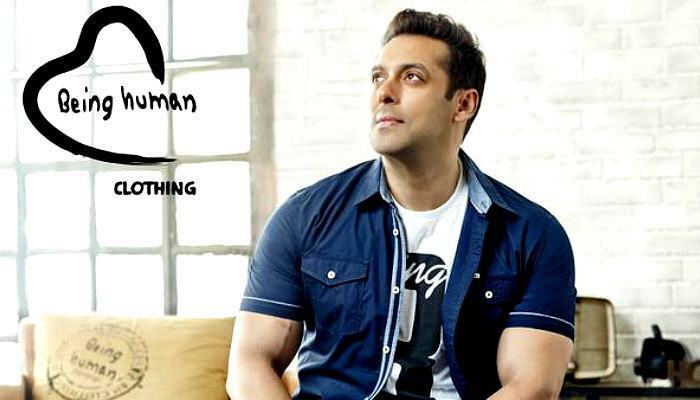 Khan has extended Being Human into a successful fashion brand that sells both in India and several stores. Moreover, Salmaan Khan had a meeting with Manish Mandhana, Managing Director of Mandhana Industries, which manufactures and retails the Being Human apparel line, says it is already aRs 100-crore brand. “At the front end, it is a lifestyle brand and at the back end, it is a philanthropic organization. 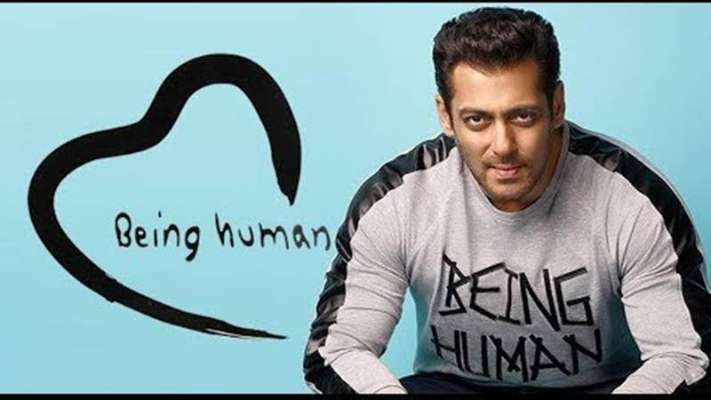 In Addition to that, after launching The Being Human brand; helps to boost the Success of Salman Khan brand and has also slowly succeeded in overshadowing his bad boy image.Being Human-branded clothing lines manufactured and marketed by Mandhana Industries, as licensing fee for the use of charity’s name as brand. Being Human – Casual wears for men and women. This collection comprises of trendy casual clothing wear on online website; being human clothing.com which is targeted especially towards younger men and women. Move further, Filmmaker Karan Johar has made his debut in designing female and male wear for a clothing Line.Now you might be inquisitive about what is there so inspiring in his stories that ranting about? Some of you might think, born in a house of a producer, he might have silver spoon in his mouth and things would have come easily to him. No! Every person has some struggles to do, isn’t it? Wait till you read on. Karan Johar might be a big name today, but once he was a vulnerable and intimidated child, who has faced some horrible experiences and still stood out. His childhood was not a cakewalk. Children used to call him ‘pansy’ because he was effeminate as a child and he used to spend sleepless nights pondering over the fact that he was different from everyone. Horrible enough! Eventually, these abusive words pinch his soul and he decided to turn the pages of his life journey. After Completion of his Academic studies, he took a first step in the Bollywood industries, with the help of his father’s carrier. Amazingly, he did a lot of hard work whether it’s about the Movie production or designing the clothes. He always became a first person to do such kind of work. Through production of the movie year; he wants to open up an own clothing line because of his hard work. So, Luckily, Karan Johar has previously collaborated with designer Varun Bahl for various collections has yet again donned the designer’s hat for a collection he has specifically designed, for the famous Brand Vero Moda! The newly launched Vero Moda marquee collection has been created keeping in mind the latest trends. This label consists of items that are an interesting interplay between different colors and textures. He includes feminine weaves for that ethereal, elegant touch, eclectic multi-colored prints for an instant impact, with a dash of sequins, bringing ‘core fashion’ to all the party lovers out there. After became an actor and was schooled in Clothing Line, I went from being the guy who was looked down upon to receiving compliments on his style. That’s when I felt like I’d found a voice in terms of expressing what I wear. Then Skult came from there – it’s functional street-style. Shahid has come a long way to be a fashion role model. 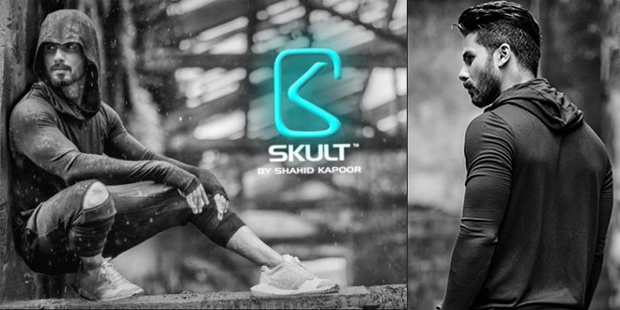 Launching his clothing fashion label, Shahid said, “SKULT is something very close to my heart. It is about freedom, freedom of expression, movement and street style.” Athleisure, which is a huge trend globally found its way on the home soil courtesy SKULT. “Aditya Birla Group’s e-commerce portal abof has recently announced the launch of India’s first athleisure fashion brand, SKULT. The brand has been created in partnership with actor Shahid Kapoor and will be exclusively available on abof”. 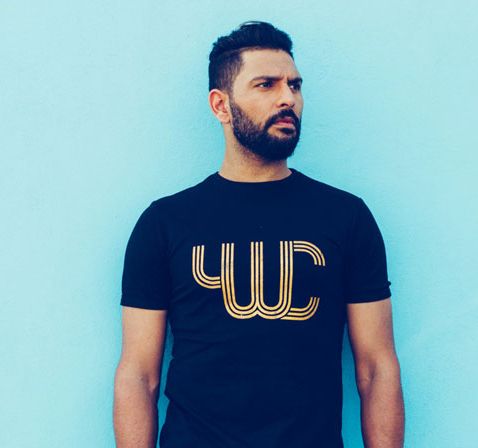 Cricketer Yuvraj Singh backed YouWeCan has associated with Suditi Industries Ltd. to create clothing line under the YWC label. The 34-year-old launched his clothing brand YWC Fashion in collaboration with designers Shantanu and Nikhil. Yuvraj who successfully battled cancer scare said all the profits from the clothing line would be used to provide treatments for cancer patients through YouWeCan NGO. YouWeCan is an initiative of Yuvraj Singh Foundation, which was set up in 2012 to create awareness and early cancer detection. The Clothing Line He launched YWC, proceeds from which will go to his NGO YouWeCan. The brand has a core line of casual wear and a premium, high end range called the Gold collection, created in collaboration with designers Shantanu and Nikhil. While launching the Clothing line; Pawan Agarwal, Chairman and Managing Director, Suditi Industries Ltd said, “We are happy to join hands with the one known for making the impossible, possible! It’s a privilege to be associated with YouWeCan. Yuvraj Singh has had a phenomenal journey as a sportsperson and his popularity transcends age groups and boundaries. We’re trying to replicate his personality on products and hope to make this the YWC line one of the leading Indian apparel brands in India! The brand YWC tie-up is not only a great opportunity for us to strengthen our position in the celebrity-merchandising segment with high-quality products. Eventually, He promoted sports lifestyle brand YWC (YouWeCan)has launched its first brick and mortar stand-alone store in Varanasi recently.The company said YWC will also be available through other multi brand outlets in Varanasi, via a shop in shop format. In the online space, the brand is available on Myntra and Jabong besides running its own portal. 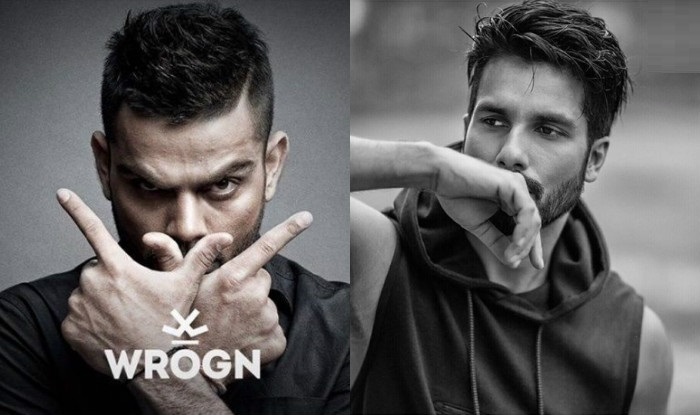 Indian test captain Virat kohli’s high-street menswear brand Wrogn has a strong Bengaluru connect. The Clothing Line, co-owned with Bengaluru-based entrepreneur Anjana Reddy , is designed and manufactured in the city, tailored to reflect the cricketer’s style. Similar Link: Anjana Reddy goes all WROGN with Virat Kohli to pocket Rs 100 crore. While it is common of cricketers to be high on fashion, India’s Test captain has taken the style game to another level. Virat Kohli who is one of the country’s most desirable stars took the glamour world by storm with the launch of his Menswear Clothing Brand WROGN. In collaboration with Universal Sports biz Pvt Ltd, WROGN presents a collection graphic T-shirts, band collar shirts and lightweight denim jackets, worn with cuffed chinos and jeans. The label is already one of the best-sellers on Myntra.com.”Wrogn, since its launch on Myntra.com, is amongst the top 10 brands on the portal’s brand index in terms of revenue. It is valued as one of the top five brands in terms of gross margins,” said Reddy. The label is also available at Shoppers Stop stores across India; Manyvar is also one them for Men’s Clothing line. His eyes, voice, charismatic personality, Hrithik Roshan proves why he is the Greek God of Bollywood. The actor launched the fitness and sportswear-clothing brand, HRX. A first of its kind in the industry, these products are lightweight and made of premium fabrics. Hrithik also roped in young actor Tiger Shroff as the face of HRX. The duo that is known for their love for leading a healthy and fit lifestyle makes HRX a notable brand. 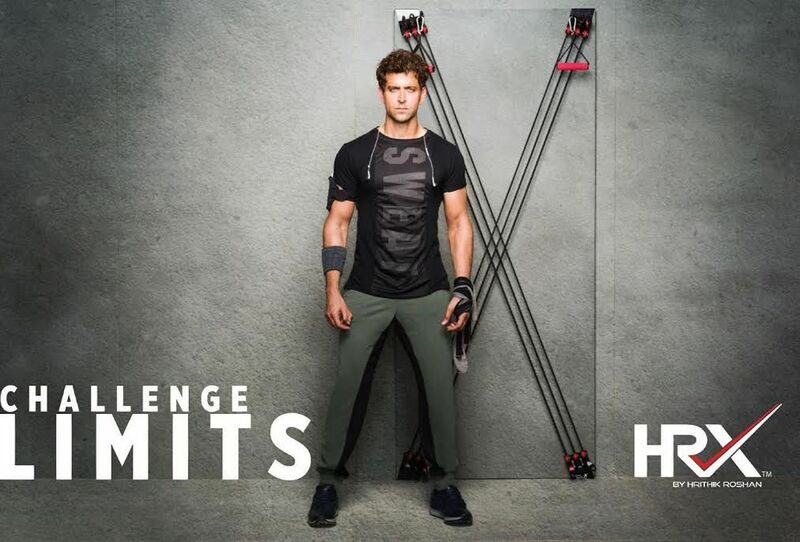 Hrithik launched his fashion-fitness clothing line, HRx, making his casual, sporty style accessible to his fans. No prizes for guessing what the ‘HR’ stands for. The ‘x’ stands for extreme in you’re wondering. He always envisioned HRXto be a platform that could inspire people to bring out their best and to never give up. Even his team, Afsar Zaidi from exceeds and Sid Shah from the wild east Group have taken his philosophy and turned it into a Brand. “Partnering with Myntra.com to Launch HRX was the opportune decision as they are in-sync with our philosophy and effortlessly helped He create the brand, just as he visualized. Star’s massive fan base will be a major advantage for the brand, believes Mukesh Bansal, CEO and Co-Founder, Myntra. We are very excited about the opportunity to build original indigenous Male Celebrities’ Clothing lines in India. Hrithik has Massive fan Base and is Widely Respected for his Passion for Fitness. We felt that we can create a very unique and Lasting Brand by Taking Inspiration from Hrithik’s work ethic, His incredible story of overcoming various setbacks and of course, his (Identity) as one of the most stylish actors in Bollywood. John Abraham by Wrangler Self-proclaimed to be first Indian celebrity to start their clothing line, John Abraham launched his premium Male clothing Line in collaboration with Wrangler in 2006. John who turned designer with this outing said John Abraham by Wrangler is a collection of denim and non-denims for both men and women. Late actress Jiah Khan was chosen as the brand ambassador of Wrangler to endorse women’s collection. John and Jiah featured in several campaigns for Wrangler Jeans. A clothing line;True Bluewhat happens when God of Cricket decides to step into the glamour world? Well, he takes the fashion game a notch up. 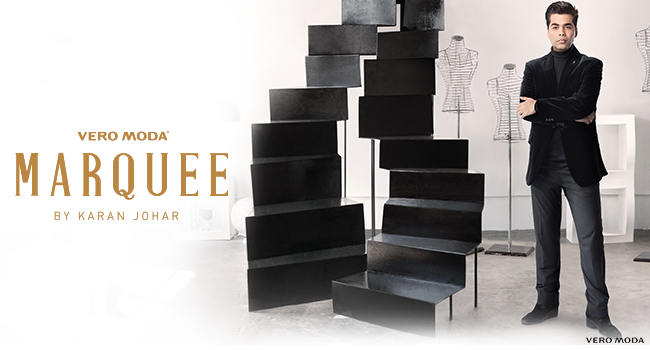 Tendulkar launched his premium menswear and accessories line – True Blue, in association with Arvind Fashion Brands. Be it the memory of donning blue jersey during playing days or simply blue being his favorites color, Sachin Tendulkar venturing into the clothing line. With a wish to give an opportunity to his supporters to wear his taste, the cricket legend began a new innings in his life. Most cricket fans we’re sure await Sachin Tendulkar, with plans to expand his empire to almost 30 stores after launch, True Blue. The brand is a combination of Indian elements with a modern touch to it says Sachin who likes being deeply rooted to his origins. When Vir Das is not doing stand-up comedy or poking at the Indian Commercials objectifying women, he’s busy thinking of designs and punch lines to put on his brand of clothing. He launched his own line of graphic t-shirts under his company’s name — Weirdass — in 2015 in an attempt to make slogan t-shirts cool again. And we like it. Das’ company is working with a bunch of brand across categories and formats. For the launch of Rebtel, a Sweden based technology brand, Weirdass came up with a series of eight digital videos, 100 tweets, and 50 memes. For Flipkart’s Big Billion Day (2014), it created two videos; for the lifestyle clothing brand Bossini, it did a digital survey around happiness to resonate with the brand’s ‘Be happy’ positioning. There is a soon to-be-launched digital campaign for Nivea as also for apparel and a shoe brand, Das lets on. Titan was a part of Weirdass’ live show ‘Unbelievable’, and also got 12 videos generated in the process. “There was so much of demand for comedy across genres and formats, from brands to agencies to live festivals to award shows and TV channels, that it really turned into a hard-to-ignore opportunity,” adds Das. The last few years has seen the growth of e-commerce sites, which sell latest international trends online. With the spread of these sites, e-commerce has allowed accessibility to customers in remote places where a brand is not present in brick and mortar store format. This has fuelled interest in western wear and latest trends in the younger generation. Myntra, Jabong’s main rival in this market with some 650Male Celebrities’ Clothing lines available, is following a similar path. There is an online environment that has already been created and ready for these brands to take advantage of. The nationals or internationals player does not fear its brand will get diluted in any way by listing online with these portals. Further, it is easier for them to test the market without having to incur heavy costs – these instead fall on the online retailer, which pays for its exclusivity in having to buy and stock large inventory.There is widespread expectation that Amazon, a relative newcomer to Indian e-commerce, will expand its fashion offer. The business of selling clothes runs on the equation of need or demand; demand for ‘nice’ & ‘affordable’ clothes, which can be bought conveniently from the comfort of home using the Internet. On the other hand, the business of fashion runs on the ‘desire to be in vogue’. Both these businesses have different audiences and require different styles of marketing. Up Your Hawaii Destination Wedding Preparations With This To-do List! Adidas Vs Puma: A Tale Of Two Souls For Soles!